After nearly dying in the ER, Eli agrees to go to LakeShore Recovery Center, an inpatient substance abuse treatment program where he’ll spend the next 28 days. In the midst of the United States opiate epidemic this is a timely read. Eli has everything, goes to a private school, is captain of the lacrosse team, has a beautiful girlfriend but he also has a heroin addiction. 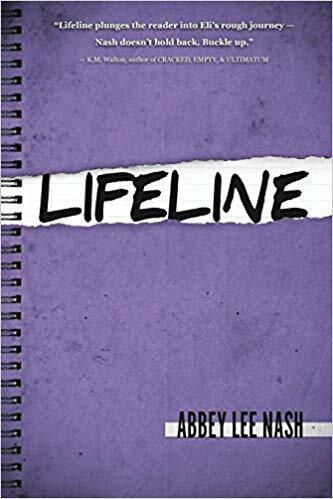 Eli doesn't believe he has a problem he thinks he can stop anytime but his life is falling apart and when he winds up in the hospital after an overdose he has no choice but to go to rehab. Still under the disillusion that he doesn't have a problem Eli finds himself at Lake Shore Recovery Center where he starts the slow processes of recovery. As someone who has dealt with a lot of addicts this book is fairly spot on. The denial, the not wanting to deal with emotions etc Recovery is a long road that is sometimes dark and difficult. Relapse is frequent and that many of Eli's friends in rehab had either been there before or wind up back after they leave is not uncommon and I was happy she included it in the book. Looking at yourself and taking responsibility for our actions is not always easy, its so much easier to blame someone else. This is a well written book with good characters and some realistic portrayals. I've seen the inside of too many rehabs and the program that Eli goes through is very accurate to many rehab facilities. I'm happy that Eli is a well off white kid from the burbs because these are often the kids whose families are in denial that their kids are using. But heroin is everywhere and its one of the hardest drugs to kick but if you stick it out and really want to succeed you will. Disclaimer: I received an advanced copy of this book from the publisher through Book Sirens in exchange for an honest review.